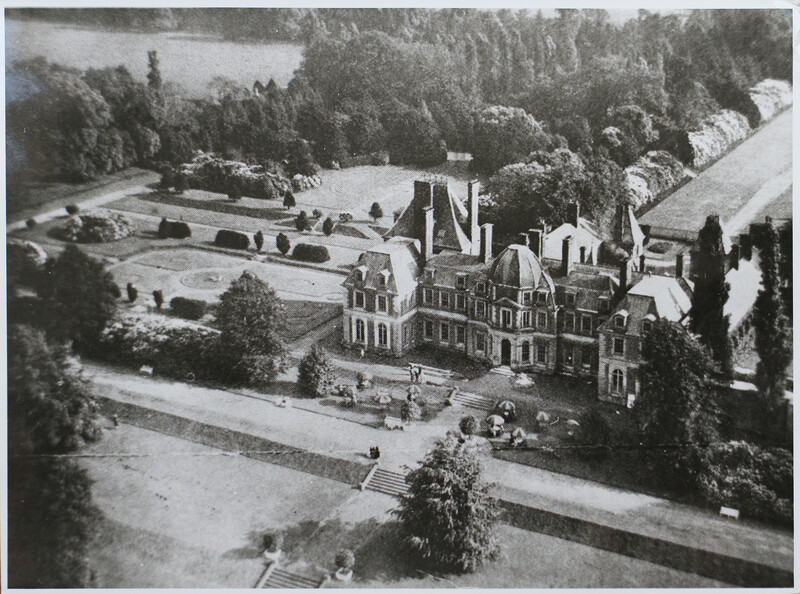 Marbury Hall was demolished at the end of 1968. This History of Marbury Hall and Parkland has been compiled by FoAM members Frances Findlay and Alan Redley. Information about the history of the Hall and the surrounding Parkland is frequently requested by visitors, so we have made more of our collected research material accessible here. Frances Findlay, Chris Moseley, Nathan Rathbone and Alan Redley carried out the research, with help from local historian Geoff Buchan (who kindly agreed to use of material from his book ‘BELMONT The House That Jack Built, 1996)’. FoAM member Clive Brookes has contributed research about the Second World War Years and Mary Jeeves has researched the gardens and arboretum at Marbury. Also, letters and articles in the Northwich Guardian have resulted in new information coming to light from its readers. Thank you to all those who have supplied information or helped in other ways. Frances Findlay and Alan Redley. Hi my name is Denis Fletcher. I lived at no 124 East Park, Marbury from 1950 until 1964. My mothers name was Tess and my dad’s name was George. My mum was very friendly with Mrs Campbell and I remember her daughter Pauline. I have a lot of fond memories of living there and friends I used to play with were Brian McKee, Ivy Bennett, Elaine Templeman and Sidney Lightburn. We had many happy times in the swimming pool. My mum and dad moved to Liverpool in 1964 and I now live in Widnes. I now live in Wilmslow but was brought up in Hartford. the Hall had been demolished. How sad. I remember well the legend of the Marbury Lady. I simply want to thank you for your excellent and detailed historical research, that allowed me to complete my work on Mattei family and their art collection in Rome. I found in the article of H. Hautecoer, “Le vente de la collection Mattei et les origines du Musée Pio-Clémentin, 1910 that Smith Barry (without any further specification of the name of the nobleman) purchased in 1776 some Marbles statues from Giuseppe Mattei, a XVIII century member of the noble Roman family and legal heir of Ciriaco Mattei, the founder of the collection of Villa Mattei-Celimontana in Rome. Thanks to your study I could improve my knowledge on Barry collection and on the important personage. Thanks again. Yours faithfully. You don’t say which book you are trying to get hold of. Very interesting. I was born in 1951 and my mum and dad lived in the hutments for a few years until we moved to Barnton in 1954 or 55. Don’t know the address though but it was interesting to see the pictures of the hutments, hall and surrounding area. I wonder if I am one of the children in the Christmas photo? I enjoyed the Sandbach History Society talk on Marbury Park.I lived at 111, East Park Marbury from November 1949 till I Maried Ken in Great Budworth Church in June 1964.I enjoyed the entertainment at the hall and my family were members of Marbury Swimming Club and enjoyed our visit this year. The woods when we were kids were just the woods. We played in all of them. Christine and me love the Arboretum. It was our favourite then and it still is. It’s dark, cool and quite mysterious. Very little grows there (apart from trees). As kids we would collect fir cones, take them home and paint them. The Arboretum surrounded the sides and back of that lovely swimming pool. If you walk past the fountain and then over the carriage way at what was the front of the hall, you will come to a little wood on the left, it was here that some of the Polish men kept pigs and chickens. It wasn’t hard to find as you could smell it long before you got there! On the other side of this little road, against the wall of the courtyard, was the little hut that sold paraffin, fire-lighters etc. The smell in there was heavenly! There were parts of statues lying around here, very sad. You could get into the courtyard here, there was a giant of a statue here (to us anyway) and in one of the outbuildings here, we had our “Sunday School” which we went to every week without fail. It was run by Miss Worsley, she drove a little Morris car and always went to the Cotswolds for her holidays. Christine (again!) followed us to Sunday School once, she was only tiny and of course the whole of East Park was out looking for her. We knew she was safe with us, unfortunately no-one else did. We used to play in the woods which were numbered by us 1, 2,et 3. Do you fancy a walk round Marbury? After walking from old Warrington rd through Marbury onto Comberbach then through Marston onto new Warrington rd. Phew! It was always nice to stop halfway at Budworth pump for refreshments ie water! However those were the good old days no video games, no TV et defiantly no computers, but I must admit that the PC does come in handy to recall quite easily otain information et pictures, pity we haven’t as many pics of Marbury hall etc. I haven’t come across any photographs of the isolation hospital, but will let you know if I do. I think we met at Marbury a few weeks ago. I would have replied sooner, but I have been away on holiday. Thank you so much for adding your comment to the website. These little snippets all add to our understanding of Marbury’s past. I wondered if your family had any relevant photos or other memorabilia, which we might borrow to photograph for our archives. My great grandfather John Harrison worked on the estate in the 1930s when it was a country club. He was head groom. The gentry would visit for weekends etc enjoying riding, fishing, shooting and general relaxing. John made sure all the horses were ready and managed the stable lads that worked there. He would often sleep over the stalls in the hay ready for early starts. He told his son Vincent that he saw the Marbury Lady ! Quite a famous ghost in those parts and he was deadly serious. He was also a horse judge of hackney horses and hunters, very well respected too. I don’t have the 1819 catalogue you refer to, but I can let you have a copy of the Sotheby’s Book Sale catalogue of 22 May 1933. Does anyone know where I can view a catalogue of the books in the Marbury Hall collection please. I understand there was a catalogue made around 1819? I lived in Northwich as a child and my mum taught dancing at Kitty Lakes dancing school where she taught some polish children that lived in Marbury hall.I remember mum taking me so see them and can remember how huge and the height of the rooms.It was (how I remember) a fabulous place.I also remember biking from Church Road with my boyfriend(now husband) to visit friends that lived in one of the huts and thinking how lovely they were inside.Many happy days spent in and around Marbury..it was our haunt as kids.I live on the isle of Anglesey,but when we visit friends it is lovely to look round all the old places……..happy days! Memories…. I lived in Marbury Road, Anderton at the top of Marbury Hollows. I went to Winnington Park School and caught the bus with all the Marbury Park kids. I had friends who lived in both East and West Park, names that come to mind are Suzanne Lamb and Susan Bradley. Dad worked for ICI and every Summer I went to Marbury Baths. I was taught to swim there by a lady who taught swimming there for years (I can see her but can’t remember her name). There after I would ride my bike to the baths after school in Summer. I remember the phone box. We didn’t have a phone and I remember biking with my Dad to the phone box to make calls to his old army mates in Preston (when I was little, sitting on the cross bar of his bike). When he was on the phone I would play on the steps that in grander times would have led to the mere. I too remember the garden beds and the fountain near the baths. What a shame the hall was allowed to fall into disrepair. I left Anderton and Northwich when I was 18 and never lived there again. The past 30 odd years I have lived in Sydney, Australia bringing up two Aussie children who despite the distance appreciate their Cheshire roots. Years ago when I was in my 20’s I was interviewed for a job by a guy who it turned out who had been a prisioner of war at Marbury, one of a number of interesting 6 degrees of separation moments I have had with Cheshire since being in Australia. This has brought back so many memories for me and my family wish more people would print more memories. 1. The bus service was rubbish – about 3 buses a day is all we got! 2. The huge conker tree in the field directly opposite Woodcock’s farm entrance. I can’t remember how much time we spent chucking sticks up that tree to knock the conkers off the branches! 3. Marbury Hall snooker room! We used to sneak in through the open windows in the summer – but we hadn’t a clue how to make the snooker table lights come on…..we played snooker in the dark for about years! 4. I was the BEST paper boy in all of Comberbach and Marbury from 1965 to 1968! I got up to collect the papers from Wyatt’s paper shop in Comberbach at 6am every morning, including Sundays. I got 15 shillings a week wages!I went to school after I’d completed my morning paper round. 5. “Three Trees”! Pete will remember – we played football nearly all the time on a patch of ground directly between the telephone box and Marbury Hall. We called it “Three Trees” – it was always better than playing on the football pitch over at East Park. 6. “The Old Dole” – is how me mam used to call the road that went from Marbury, through to Barber’s Garage at the top end of Witton Street in Northwich. (Why it’s called the ‘Old Dole’ I don’t know – maybe I’ve got the spelling wrong, but I’m sure that’s what me mam always named it) I biked up and down that road for 2 years going to Sir John Deane’s Grammar School. 5. Bill Gardener! Bill was an ICI employee, and actually also the gardener who tended all the lawns and gardens around Marbury Hall. He made a beautiful job of it always. I loved the smell of new-mown grass when Bill had been round with his lawn-mowers. 6. The Marbury Shop: We got fed up of going for stuff and finding they had sold out or were waiting for delivery of something. 7. Batchey’s the Ice Cream Man! Not very good by modern-day standards, but his ‘Dragon’s Blood’ on an ice-cream cornet was me favourite! No mention of scrumping in the orchard – we had a few visits from the local bobby about that! Thanks again team – fine effort. Hi. Thanks for the info – really great to see the pictures and info from all those years ago. We grew up in Marbury – we lived in No7 West Park. Next door to the Perkins family. My brother Pete and I travelled to Winnington Park Primary school each day, until we left Marbury in 1966, and relocated to Weaverham. Another highlight for us was every Thursday night for the 1st Marbury Cubs and Scouts – which Tom Holland and David Ikin ran for many years. It has also to be said that Bonfire night at Marbury was THE event of the year for us kids! We kept a bonfire burning for 4 days after November the 5th! The water temperature of Marbury Pool on May 1st was, typically, 52 degrees! Bloody freezing! I think the warmest we ever experienced it was 74 degrees one summer! But…great great days…and a very happy childhood. We had nowt compared to kids these days – but we REALLY enjoyed what we had! Thanks again for the website! This takes me back !! I was brought up in Marbury (born 1954) and we were one of the last families to leave in 1966. Many happy days there and THE perfect place for kids to grow up – simply wonderful. All the rest of the family still live in close proximity to Marbury , but alas, I now live in Cape Town , South Africa. I was on holiday in Cheshire last year and spent a lovely day in Marbury Country Park – so many memories. Thanks for a wonderful website – I’m sure there are many others out there who enjoyed visiting it as much as I did. I have followed a trail back to the Park and 66 West Park where my grandparents Edward and Kathleen Sharp + family Nora and Joan. I anyone has more on this family or knew them. It would be great to find out more. Wonderful, I was born at 107 East Park in Marbury and I have spotted a picture with me in it. Love a copy it that were possible. Thank you for your efforts brought a lot of joy. Wonderful to see all the things i remember, from the gate house by the canal with its lovely rhodedendrons, the hall, the huts and the pool. We used the pool a lot when i was young, there was a sweet shop in one of the huts that we went to before riding our bikes home. I am so so pleased to see the statue in the courtyard, i thought everyone had forgotted about him! In 1968 i was inside the hall with a group of school friends, it must have been in the summer just before it was demolished the caretaker took us around, the stair case was magnificant to a youngster. I wish it had not been demolised it is such a shame. Very interesting and informative, good work. wonderful to see all the pictures takes me back . Great piece of work, well done to everyone involved.